Of course. Two different things. Cruise missiles can't replace fighters but if you have enough land based cruise missiles you can use your fighters for aerial supremacy only and tactical bombing. I would agree that a few extra planes would be more valuable in this case than 12 Granit missiles, but as far as I am aware there is no chance of removing the missiles and tubes and using that space to increase the number of aircraft the ship can carry because it is isolated from the hangar deck by some rather significant fire walls. As such I would think that the ability to carry perhaps 3-4 UKSK launchers in that space would make sense... particularly with anti sub missiles... the carrier wont be leading any charge anywhere... it is there to support the other large ships. I would also point out that cruise missiles need targets... it is not the case that the ship with the most cruise missiles automatically wins... one Zircon missile could easily sink such a ship... imagine the effect of a hypersonic slug of metal and HE punching through a forest of HE and solid rocket fuel propellent that is a large VLS system on a ship... it would be a fire ball. Once any components of an IADS are taken down first then even subsonic missiles can be effective too. GarryB wrote: I would agree that a few extra planes would be more valuable in this case than 12 Granit missiles, but as far as I am aware there is no chance of removing the missiles and tubes and using that space to increase the number of aircraft the ship can carry because it is isolated from the hangar deck by some rather significant fire walls. originally Kuz should carry 50 aircraft air wing. With 12 Granites. Lider? In my IMHO Russians due to budget constrains can go this universal ship (Rakhmnov was talking about) which can be CVN or LHD depending on mission profile. GunshipDemocracy wrote: no Russian source - official one said about CMs on Kuz, whats more important admiral Bursuk never said that . I'd treat it with grain of slt. me thinks too. Kuz will definitely have new self defense, radars, power plant but first of all new flight management system... for netcentric warfare + better airwing management. LMFS wrote: USN CSGs have been used to discipline naughty countries in the rules of the empire. Russian carriers / TAKR or whatever Russia decides to call them will probably have a deterrent value + fleet protection + COIN strike functions. At least in the future we can reasonably predict. If you are foreseeing use of nukes then if you call the carriers carriers or cruisers is the least important issue as far as I can see. Given its design characteristics, it is hard for me to take at face value that the K had the air wing as secondary priority. But as said, now all surface and submarine combatant classes starting from corvettes can carry dangerous, long range supersonic (and soon enough hypersonic) ASMs, so the value of a ship big enough to carry huge Granits is simply not what it was. RuN has successfully implemented the "distributed lethality" (I feel a little weird using these US teleshop names but you will understand), so they don't need to stuff their carriers with missiles. Much better to make a small diesel sub pop-up with some Zircons and disappear again than committing a cruiser to the improbable task of frontally attacking a CSG. As for small subs I think this is in making. I mean AIP drone subs. Long range, can go in tens with "expeditionary ship grouping" ( let me call ESG and move forward by 100-200kms if needed -range of AAD/ASh protection of surface combatants. so proportions are bit different then US CVNs since function was different too. You expect RuN to have fully equipped and independent ESGs and CSGs, rather than operating together at a conflict zone? And I am thinking like USN right? Only combat deployment of K until now was in Syria for strike roles. Don't know how that fits in your theory. then why Russians build CM Iskanders? or building brand nex stealth Kh-50? VLO CM is dangerous, especially sea skimming with good EW protection. if bases and navies in Europe have weak defenses then where it is is strong? Nowhere! 20 years of neglecting are taking their toll! 12 granits are useless. Rhey were supposed to be used in salvos fired in the same time by Oscars, kirovs and kuznetsov (and maybe p-500 from slava but I don't know if the datalink btw the missiles work btw granit and p-500). Now kirov are gone or modernized with kalibr. Oscar will be modernized with kalibr. And slava won't last forever and they use different missiles. They have to remove the granits and replace them by UKSK or a hangar for 40 to 60 kh-59mk2 and upgrade su-33 and mig-29k to use them. Much better than 12 granits that could engage only one modern ship. Everything ok, if you have less ships they need to be more flexible. Yes we basically agree. Russia should not try to substitute legitimacy and boots on the ground through massive bombing campaigns. Defence of the fleet is the main goal. 12 Granits are as formidable as they ever were but now they are out of production there is no point in retaining launchers for them in upgraded ships. https://bmpd.livejournal.com/3578074.html has text & pics of a 2016 proposal for this. Current state is 2 side-by-side, much too short for K.
Upgrade knocks out the wall between, extends the length & depth plus new entry/caisson. Apparently not looking to buy PD-50 replacement offshore & have a Technical Design for a new one but nowhere to build domestically. But thats pretty irrelevant since this extended drydock looks to be at least as big, even somewhat bigger -> full capacity replacement. Didn't they say it was going to leave the drydock anyway? So, is there still work left to be done in a different drydock? They've always said it needs some drydock time before the end, they just said its not a vital immediate need & they'll proceed with other stuff in the meantime. Suggestion at balancer is the props are off & possibly even the shafts as well. hoom wrote: They've always said it needs some drydock time before the end, they just said its not a vital immediate need & they'll proceed with other stuff in the meantime. She was scheduled to get a billion dollar refit which was cut down to $300 million. They are not even serious about maintaining an operational carrier. She was scheduled to get a billion dollar refit which was cut down to $300 million. Perhaps they caught corrupted contractors & nipped their scams in the bud! Or maybe they wanted dipper modernization at 1st & then decided that it wasn't mission essential, esp. with other priorities. China now has 2 CVs with a 3rd on the way; they'll keep the USN + their allies busy. 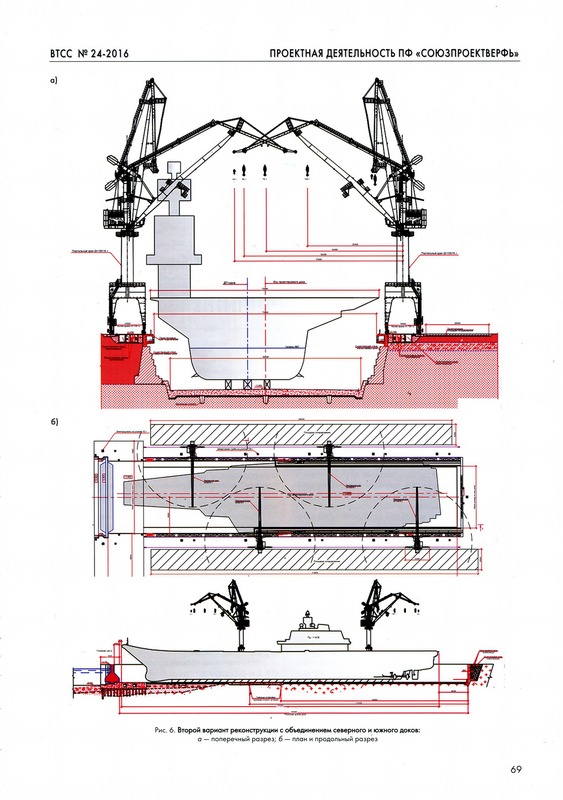 It's cheaper to build & operate subs with Poseidons capable of sinking entire CSGs along with coastal bases & cities. The funding priority is the nuclear deterrent. Everything else gets sidelined. In ur estimation, how long before those priorities change towards conventional arms? IMO, they'll be dedicating substantial resources to non-nuclear precision arms while renewing SSBN & strategic bomber fleets. Tsavo Lion wrote: In ur estimation, how long before those priorities change towards conventional arms? The priority will never change unless nukes are made obsolete. Once the big ticket items are paid for then funding for conventional forces would be available. Then, CV/Ns r not urgent to have, UDKs will be built 1st, & the Adm. K will sailor on with new CMs for another 2 decades, if not more. Tsavo Lion wrote: Then, CV/Ns r not urgent to have, UDKs will be built 1st, & the Adm. K will sailor on with new CMs for another 2 decades, if not more. Vladimir79 wrote: She was scheduled to get a billion dollar refit which was cut down to $300 million. They are not even serious about maintaining an operational carrier. Calling BS on that. The K doesn't need a $1B-equivalent refit to be returned to a state where she can be fully operational. New boilers and power-plant upgrade, repairs to arrestor systems, upgraded CIWS, general repairs and refrub. Yeah, $300M should be enough. I'd like to see Granit replacement, improved ASW, new main radar and long/medium range AA but the above program will be adequate and she'll be a useful war-fighter when its all done. I've heard about 60B rubles but never learned this drops to 20B, do you have any source? Imho they are pretty serious, why then new deck fighter programme was started? They are not even serious about maintaining an operational carrier. They probably don't have a purpose for it right now... or the next 5 years or so, plus a Russian carrier right now will either operate with corvettes and a couple of frigates or it will be a sitting duck with nothing for it to support. Fixing the basic problems with it, which right now is propulsion, shouldn't cost that much and when she is ready to sail again there should be a few other vessels that can sail with her too and perhaps she can start spreading the word that there is more than one sheriff in town so you can buy and sell products to Russia as well as the west or the US.... it is a message quite a few countries around the place are looking forward to hearing to be honest. Unless China makes a clear commitment to support Russian operations internationally, the number of chinese carriers is not really important to the Russian navy. (Should add that the Russian solution to hostile Chinese carriers near its territory would be the same solution it has for US carriers or NATO carriers near its territory... traditionally Tu-22M3 with Kh-22M, and now MiG-31 with Kinzhal and Tu-22M3M with Kinzhal and/or Kh-32 and ship and sub and land launched Onyx). Those precision weapons can give a weapon nuclear like potential without crossing the nuclear threshold, but they could just as easily be all armed with nukes too. Granit is no longer in production so new tubes will be fitted at the very least and at best the tubes removed and UKSK-Ms put there. To let the PD 50 sink and lose your only operational dry dock large enough to take capital ships... what is left to repair it? If the goal is to make a VTOL as the new deck fighter then they might as well let the Admiral K sink off Kola Bay. Vladimir79 wrote: To let the PD 50 sink and lose your only operational dry dock large enough to take capital ships... what is left to repair it? Hmm but Interfax wrote same about scope of work. What was reduced then? (boilers, radars , battle mgmt systems, CIWS)? 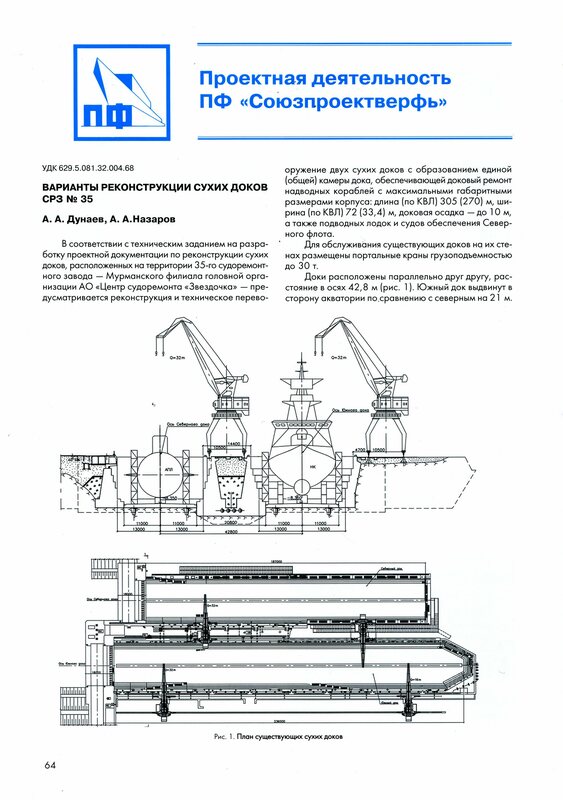 As for drydock well, Russian shipyards need to have large drydocks anyway. Otherwise no large ships can be maintained in the future. Zvezda shipyard can handle it since it can handle upwards to 100,000tons. From recollection the big refit was going to be full electronics (radar, battle management, EW, ship stuff), Redut, Pantsir-M & probably Kalibrs. Then it got downgraded to what seems to be basically just the boiler change & refit (plus arrestor upgrade?). According to the article nothing will be modernised, it will only be refurbished. If the future deck fighter is a VTOL then it looks like the plan is to operate no ship larger than a Mistral LPH.